Detailing the physical features, habits, territorial reach and other identifying qualities of the Skiff Moth. 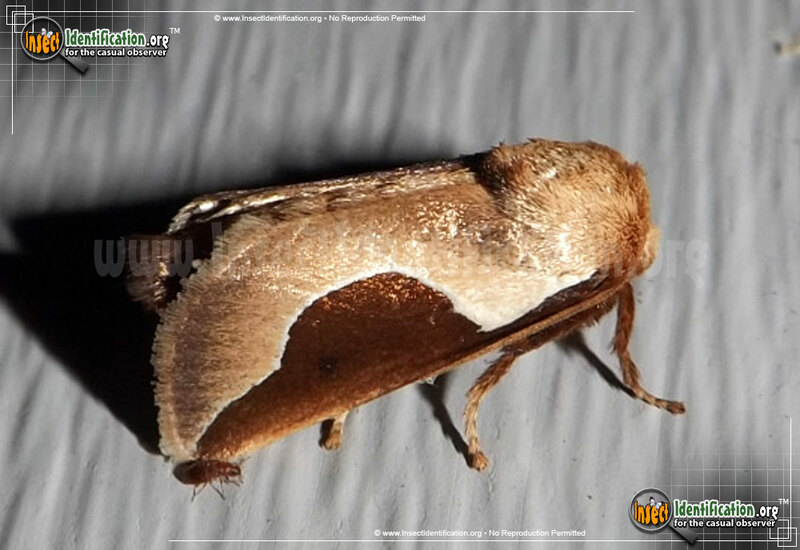 The adult Skiff Moth's black and tan colors help hide it among leaf litter and tree branches. The Skiff Moth is a member of the Slug Moth family. This means that its larval form, the caterpillar, looks more like a slug than the typical, leggy, worm-like caterpillar most people are used to seeing. The green, oval-shaped caterpillar is hairless and the dorsal (back) side is raised forming a ramp-like mound from head to rear. This section of the back may be green or brown. 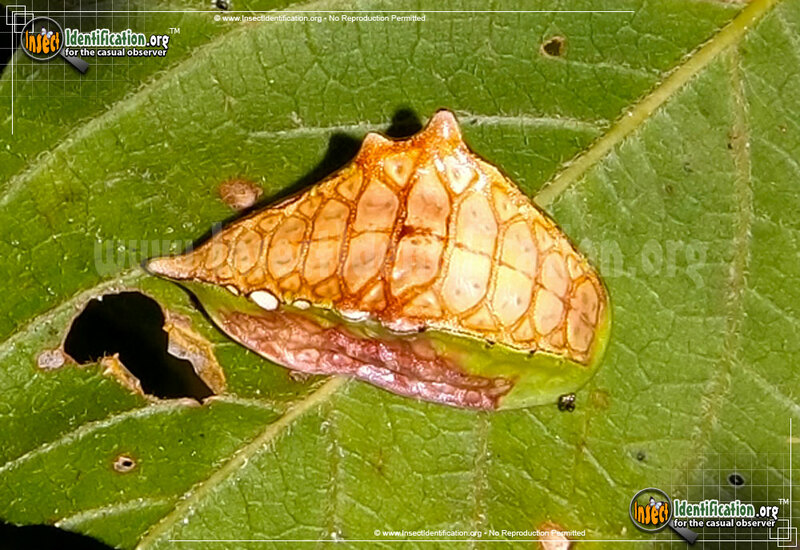 The side ridges are raised near the highest point, making the caterpillar to look more like a dying leaf than an insect to predators. They are often found eating the leaves of a variety of trees and plants like blueberry bushes, oak, poplar and willow trees, and sweetgale. One generation is produced each year. The adults are on the wing from late spring through September.